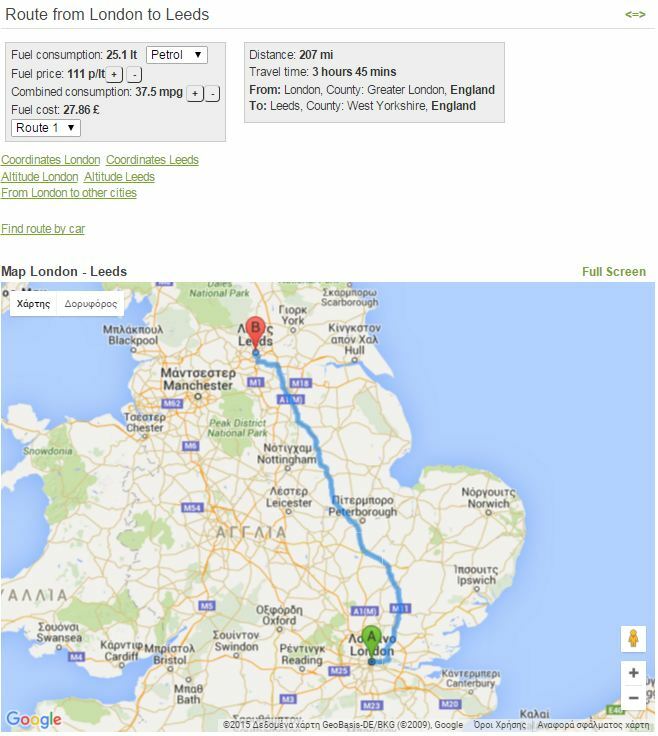 Find route in UK and calculate fuel cost (petrol, LPG, diesel) for every route in web site routecalculator.co.uk by car. You can choose between three fuel types (petrol, LPG, diesel). You can adjust fuel price and car consumption. In a lot of cases there are alternatives routes.